Therma Trim Baseboard is an attractive, clean-lined, functional baseboard that fits into any decor from traditional to ultra modern. Therma Trim is finished in a modern white baked enamel, but may be painted to match woodwork or walls. The completely redesigned Prestige IAQ from Honeywell still offers the robust RedLINK™ wireless capabilities you trust to deliver a total solution – now in a smaller, sleeker profile for design-conscious residential and light commercial end users. Coleman® invented the Echelon™ modulating gas furnace to match your comfort level more closely by varying the heating rate continuously and precisely. Raise your comfort level with Coleman's most advanced gas furnace technology. The closed-loop Bell & Gossett Series 100 Inline Circulator Pump is designed for use in domestic and light commercial water circulating systems, such as hydronic heating and low-pressure boosting. Proudly Supplying the Trades for over 80 Years! 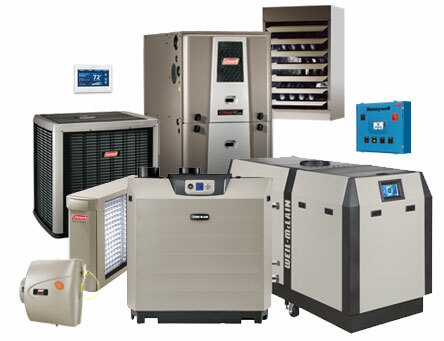 Winstel Controls has been serving the commercial and residential heating and cooling industry since 1934. From the early days of selling boiler controls to today's state-of-the-art complete systems, Winstel is known as the place for selection, expertise and complete customer service. Born in Cincinnati, Ohio, and now available everywhere via the Internet, your Winstel Controls experience is just a click away. Honeywell, Weil-McLain, Watts, Maxitrol, Itron, Coleman, White Rodgers, Wilkins, Apollo, Bosch, Conbraco, Asco, Mid-West Instrument, Johnson Controls, Flomatic, Bell & Gossett, Taco, Amtrol, Febco, Ames, Armstrong, McDonnell & Miller and Fireye are just a few of the brands we stock every day at Winstel Controls.